It was the first Huawei Watch that kickstarted a new round of premium Android Wear devices — with an exquisite steel body and a sapphire glass coating on top of a beautiful, fully round AMOLED screen, that watch looked excellent from every angle, standing above the competition. Long-lasting battery life, the ability to easily replace straps (with some good options provided by Huawei out of the box, to boot), and even some slight future proofing in the form of a speaker later enabled by a software update, the Huawei Watch ticked all the right boxes at the time. But smartwatches have evolved since, so Huawei naturally felt compelled to refresh the Huawei Watch for today’s market. 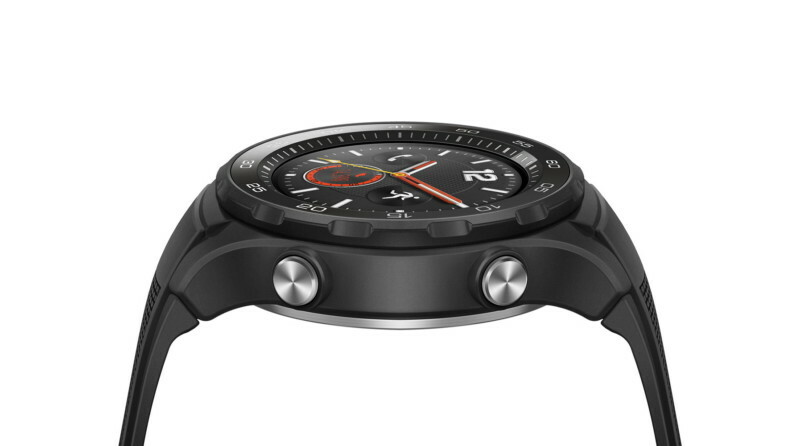 The result is twofold — as in, there are two Huawei watches now, with the “plain” Huawei Watch being a more-rugged alternative for sports and fitness tracking now. While the original Huawei Watch was anything but sporty, Huawei made sure to target those looking for a durable smartwatch to take on any kind of trip this time around. Following Google’s template, Huawei has released two devices, with the more-expensive and feature-packed of the two being targeted towards outdoors users. The Huawei Watch 2 is a sportier variant that’s LTE-capable, while the Watch 2 Classic assumes the mantle of the original Huawei Watch. Unlike the recently-announced LG Watch Style, though, even the non-LTE variant Huawei offers is feature packed. Starting with the software, both watches are running Android Wear 2.0 with Google Assistant for all your needs, although most features are identical to what the standard Search option on Wear 1.X offered, other than support for connected devices. Android Wear 2.0 offers a refined UI with better less clutter, a dark background and streamlined navigation, but perhaps the bigger news here is that both the Watch 2 and Watch 2 classic support Android Pay, as they both feature NFC chips. This is different than Google’s approach to the LG Watch Sport and LG Watch Style, as the cheaper offering by LG doesn’t allow for a true showcase of Wear 2.0. Both watches are equipped with the basic heart-rate sensor for fitness tracking, but both also pack a GPS for accurate location (and steps/distance) tracking too. They are also IP68-rated for dust and water resistance — while the Watch 2 might be the more rugged option, the Watch 2 Classic can certainly hold its own for lighter fitness tracking. 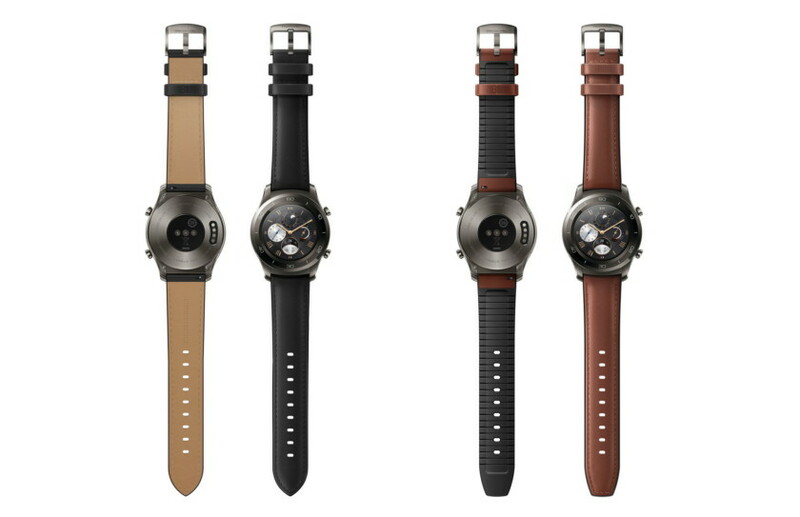 Of course, the rubberized back of the Watch 2 is better-suited for long, sweaty workout sessions, and its LTE connectivity allows you to take it with you anywhere and stay connected without your device (at the expense of pitiful battery life when actively making use of your mobile connection). Ultimately, the software in both allows for a myriad of fitness information, with stage-guidance, statistics, warnings and in-depth assessments. So far, no details have been given on pricing and availability for the US, but we’ll keep you updated when we get more details. Pricing in other markets is set to start at €349. What do you think of the Huawei Watch 2 and Huawei Watch 2 Classic? Let us know your thoughts below!